Welcome to the newly launched, Elephant Valley Travel Solutions (EVTS). 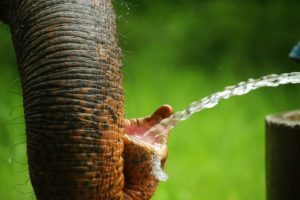 Although our main focus will always be the elephants, we like to look for new ways to bring much needed extra revenue to our sanctuary so we can continue giving the creatures in our care the best life possible. As we have a full tour agency license issued by the Tourism Authority of Thailand and are situated in one of Thailands most beautiful provinces, it makes sense for us offer bespoke full day options that combine time at the sanctuary with seeing some of the local attractions. Our focus is on ethical activities that benefit the local community and promote responsible tourism rather than exploitation. Giving back to the animals and people that surround us are at the core of our ethos. 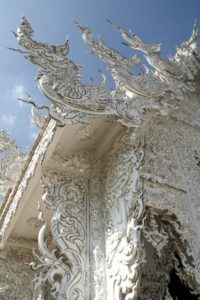 We currently have a full day tour option combining a morning tour of upto 3 temples, a ride on a longtail boat along the Kok river and the Elephants Lovers (half day afternoon) featuring lunch and all afternoon at the sanctuary. 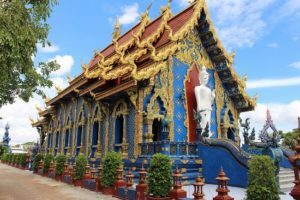 Starting with a visit to to the stunning new Blue Temple, a long-tail boat ride on the Kok river to the ancient Buddha cave and then on to the world famous White Temple. 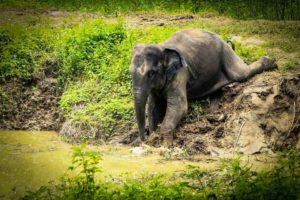 This is followed by lunch at the Elephant Valley watching elephants graze in the fields followed by a guided tour of the sanctuary learning all about our rehabilitative work. Departure from the sanctuary at around 4.30pm. To keep the day cost efficient, we have designed it as a “self- guiding tour” as the temples don’t really require a tour guide, but they’ll be an English speaking driver to assistant you and everyone else in your group. If you are a solo-travel and would like to join the temple tour let us know some possible dates so we can try and fit you in with a group. 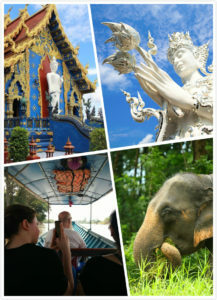 Chiang Rai is situated in the foothills of the Himalayas also known as the Thai highlands. 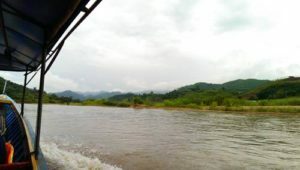 The province boasts incredible natural and cultural beauty featuring temples aloft green mountains, remote villages of colorfully dressed hill tribes and of course the mighty Mekong river, the lifeblood of South East Asia and so many of its inhabitants. 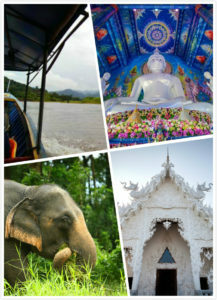 Fortunately these attractions are easily accessible in a day trip from Chiang Rai and can be combined with time at the sanctuary. Please let us know the places you would like to visit and we can put together a full day itinerary, including sanctuary time, for you to consider. Please note that a licensed English speaking guide can be provided but at extra costs. If you are heading to Chiang Rai please drop us a line at bookings@elephantvalleythailand to see how we can make your stay even more awesome!